Since the 1990s, it has been widely accepted that renewables have an essential role to play in meeting global energy challenges, with onshore wind, solar and hydropower already making relevant contributions to the energy mix. Nevertheless, the untapped potential of these land-based forms of renewable energy is not unlimited; therefore, the contribution of new renewables – including wave, tidal and offshore wind – must be enhanced if carbon-based energy production is to be further reduced in line with international commitments. 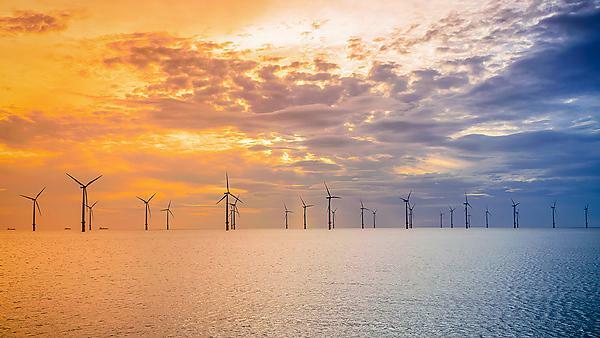 Offshore wind is technologically more mature than wave and tidal energy, thanks to similarities with its onshore counterpart, while wave and tidal energy are technologically more challenging. The harsh environments into which wave and tidal energy systems are to operate have arguably hindered their technological development, but that should not detract in the least from their potential. There can be little doubt that this vast ocean resource will be exploited within coming decades. The proponents of tidal energy technologies have largely already agreed on a single design category; the wave energy sector, however, still includes many designs, with no convergence foreseeable in the short term. Both sectors face common challenges, such as surviving environmental action on the devices, and managing their potential impacts on marine ecosystems. Current deployments are closely monitored to build up knowledge and experience of environmental impact, and marine demonstration sites have an important role to play in building the knowledge to aid future consenting processes. The tidal energy industry, more advanced than its wave energy counterpart, is likely to pave the way through some of these hurdles, in effect smoothing the path for wave energy to attain a similar stage of technological development. With advances constantly being made in this area, the first large arrays of tidal stream converters are now under development in the UK and Canada. The MeyGen project in Scotland has four devices installed and recently made operational, while the FORCE project in the Bay of Fundy in Canada will see four different devices deployed. The concept of tidal lagoons is also growing in interest, with a number planned for the Severn Estuary. Tidal range projects have been in use since the 1960s in France, the 1980s in Canada and, more recently, in Korea, where the Lake Sihwa tidal barrage power station opened in 2011. For all this progress, tidal range energy still faces challenges in terms of installation, operation and maintenance, and better understanding of their interaction with the environment. In Spain, the first commercial wave power plant is built into a breakwater at Mutriku, and this is paving the way for future plants that may be integrated into new or existing structures. The process has not been exempt of setbacks, though (Pelamis, Oyster, etc. ); fortunately, the knowledge gained through these failings has not been lost, and new concepts are under development with lessons learnt from the experiences of the industry taken into account in their design. The resurgence of activity, fundamental research and new innovation in the wave energy sector is apparent. Wave Energy Scotland has stepped in to provide funding streams to develop innovation as well as focus on cross-cutting technology, such as power take-off and electrical systems, while the NREL in the USA recently ran a competition for low TRL wave energy solutions. The main challenges in developing wave energy include resolving reliability and survivability at reasonable cost, with research currently focused on reducing costs while maintaining performance through innovative use of materials and design solutions. There are also investigations taking place into other benefits of wave energy conversion; for instance, by extracting energy from the marine environment, wave farms can be part of a coastal defence scheme to mitigate coastal erosion. These dual wave farms, with the dual function of renewable energy generation and coastal protection, can be included into coastal management plans and strategies. In another vein, there are potential benefits to be found through the co-location of wave and wind energy farms in the same marine space, which may lead to some cost savings through sharing of infrastructure such as electrical cables and foundations, and through shared operation and maintenance tasks. Furthermore, new and radical designs for hybrid systems of wave energy converters integrated within offshore wind structures and foundations, as well as innovative floating wind and wave hybrids, are being explored. Wave and tidal energy is securely embedded in the funding priorities of the European Union, the Americas, China and the Pacific region, with active research and development and new initiatives under way in all regions. There are also agreed global targets for climate change, and through these drivers of policy, worldwide commitment to reducing carbon emissions and sourcing renewable energies is strengthened year on year. Wave and tidal energy is a fast moving and exciting sector, with complex unresolved research challenges and many unknown and open questions. What we will see in 20 years is likely to be different from the technologies existing today. Nevertheless, despite these complex challenges, we can expect to see the wave and tidal industry move through and beyond research and into development in the next decades and be part of the future for us all.